Iraq‘s Prime Minister Haider al-Abadi has ordered an investigation into deadly violence in the southern city of Basra after protesters stormed the Iranian consulate there. Abadi said late on Friday that he had instructed security forces to act decisively against the “acts of vandalism” that accompanied the demonstrations. The order came after demonstrators set fire to the Iranian consulate on Friday as part of weeks-long protests over poor services and lack of jobs. Thousands shouted anti-Iran slogans, condemning what they percieved as Tehran’s interference in their country’s politics, before breaking into the consulate’s offices and setting it alight. The building was reportedly empty when the crowd burst in. Iraq’s Foreign Ministry said the storming of the consulate, which it deeply regretted, had nothing to do with protesters’ demands. Iraq’s Joint Operations Command, which includes the army and police, said there would be a “severe” response with “exceptional security measures”, including banning protests and group travel. 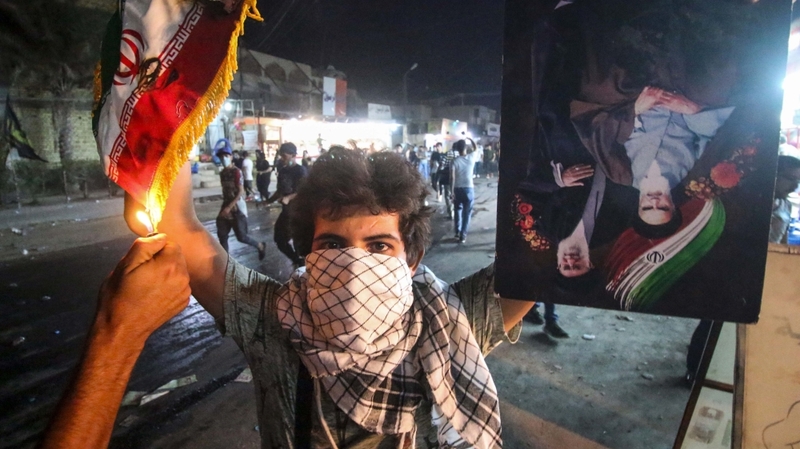 Security officials have announced a city-wide curfew in Basra, a city of two million, warning that “anyone in the street” would be arrested. The Iraqi ambassador to Tehran was also summoned to the foreign ministry. Several foreign governments have consulates in Basra, including the United States and Russia. In a statement, the US State Department condemned the violence and called on all parties “to uphold the right of peaceful protest and to protect diplomats and their facilities”. The unrest in Basra and other cities is the most serious to hit Iraq’s oil-rich southern Shia heartland in years. Since July, protesters have been calling for an end to endemic corruption, soaring joblessness, and poor public services. Protests intensified earlier this week, leading to clashes and leaving several civilians and police dead. Demonstrators have torched government buildings, as well as political party and armed group offices since Tuesday, as anger boils over after the hospitalisation of 30,000 people who drank polluted water. Abbas Kadhim, a professor at George Washington University, told Al Jazeera that protesters hold Iranian-backed political parties responsible for mismanagement and poor services in the city. “The anger is directed in every direction, against all,” he said. “There is a lot of Iranian influence among Basra groups, whether they are in local politics or in the social groups, including the fighting groups,” he said. The unrest comes at a politically volatile time for Iraq, with lawmakers still trying to form a new government, after an inconclusive election in May. The new parliament finally met on Monday for the first time, but broke up a day later having failed to elect a speaker, much less name the next prime minister.